The holiday season is upon us — the time when we deck trees with sparkling lights and keepsake ornaments, light candles, send greeting cards, and stress about what to get our loved ones. Tis also the season to renew your membership in NMBio — the gift that keeps on giving throughout the year by providing you with strategic connections to NM’s growing bioscience community and access to the global bioscience community through our partnerships with BIO, AdvaMed, PhRMA, educational events, discounts on products and services for your business, significant discounts to attend major industry conferences such as BIO and MedTech, the ability to showcase your company on our website and at the Knowledge Fair & Expo and other signature events as well as with the media and by serving as your advocate and the advocate for the bioscience community with elected officials. One of the board of directors’ goals for 2018 is to get more members actively involved in the association’s various committees, including membership, sponsorship, educational events and others. Your membership will increase in value if you actively connect and engage with other members of the association as well as our community partners such as Albuquerque Economic Development. One of my major goals is to create an informative Resource Center for our website that will provide detailed information on federal, state and foundation grant programs, insightful white papers and webinars, state incentives, listings of national conferences and how to information that will help you build your business. Another goal is create a separate category and listing of consultants that can assist you. With the assistance of board members, I also plan to increase the number in-state businesses that can service your personal as well as your business needs. One example of the former is Santa Fe BMW’s decision to join the association and offer our members special discounts on purchases and leases, the discounts range from $500 to $3,500 depending on the model you select. We’ve also arranged additional discounts for members purchasing BMW’s and Mini’s through a partnership with BMW of North America and its Corporate Sales/Group Fleet Program for BMW or MINI vehicles. I’m pleased to report that we are now offering members the opportunity to sponsor NMBio at the Diamond level ($5,000). If interested or if you win the next Powerball drawing, please contact me directly to discuss benefits that are included with the Diamond package. 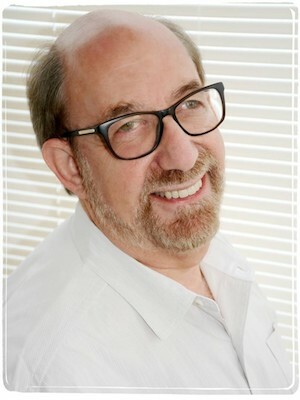 Finally, don’t just save the date for Stu Rose’s January 9 talk. Seating is limited, so register today to hear his insights on how to succeed into today’s digital economy. White Hat Presenting Companies are selected from applications submitted from companies across the Rocky Mountains and Southwest by a panel of life science investors. IDTechEx, a market intelligence company with nearly two decade’s worth of experience tracking the cutting-edge developments in science and technology, has expanded their expertise into the life sciences. This new endeavor has already led to the production of five new dedicated market research reports in the key fields of biosensors, bioelectronics, and regenerative medicine. 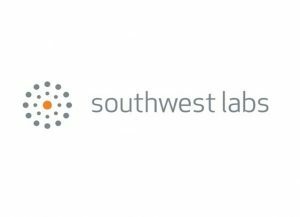 Southwest Labs — Southwest Labs is an advanced toxicology reference laboratory, located in Albuquerque, and dedicated to medical professionals, patients, and the communities it serves. Southwest Labs is focused on a single area of specialization — clinical drug testing. The firm tests for an expansive list of drugs and medications. 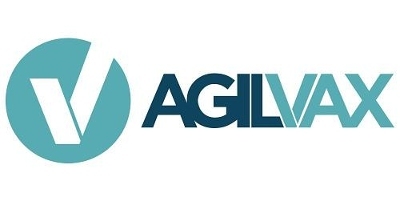 Agilvax — Agilvax develops cancer immunotherapies and targeted vaccines for infectious diseases utilizing its proprietary virus-like-particle (VLP) platform technology. The firm announced a significant milestone for its immunotherapy, AX09, for the treatment of triple negative breast cancer (TNBC). The preclinical results are being published in OncoImmunology, entitled “A Virus-Like-Particle immunotherapy targeting Epitope-Specific anti-xCT expressed on cancer stem cell inhibits the progression of metastatic cancer in vivo.” The preclinical results show that AX09 is able to significantly reduce both tumor growth and the development of pulmonary metastases, as a result of a robust and specific antibody response against xCT. Additionally, IgG isolated from AX09 treated mice bound to Cancer Stem Cells, inhibited xCT function, and decreased cell growth in vitro.Collectively this data demonstrates the promise of AX09 as a potential therapy for TNBC. The preclinical results show that AX09 is able to significantly reduce both tumor growth and the development of pulmonary metastases, as a result of a robust and specific antibody response against xCT. Emera Inc., the New Mexico Gas Co.’s parent firm, last week announced that it was dispensing $1 million in grants for entrepreneurial innovation and economic development statewide. The company awarded nearly $1.5 million to 18 organizations last year from a $5 million fund it established to offer grants around New Mexico over a five-year period. — A $150,000 follow-on grant for New Mexico State University’s Arrowhead Center, which received $200,000 last year. — A $100,000 follow-on grant for Innovate ABQ, which received $500,000 last year. — A $50,000 follow-on grant for the University of New Mexico’s Innovation Academy, which got $200,000 last year. — A new $50,000 grant for a study on UNM’s economic impact in New Mexico. 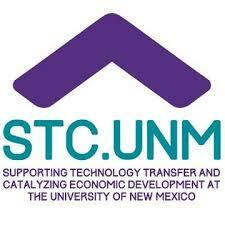 — A first-time $100,000 grant for tech transfer and entrepreneurship at New Mexico Tech. 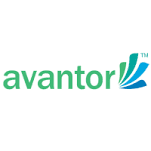 Avantor, Inc., a global supplier of ultra-high-purity materials for the life sciences and advanced technology industries, recently announced the successful completion of its acquisition of NMBio preferred provider — VWR Corporation, the leading global independent provider of product, supply chain, and service solutions to laboratory and production customers. VWR will operate as a wholly owned subsidiary of Avantor. Michael Stubblefield, Chief Executive Officer of Avantor, will lead the combined company. “The completion of this acquisition marks the beginning of an exciting new chapter for our combined organization,” said Stubblefield. “The new Avantor is a leading global provider of discovery-to-delivery solutions that offer more value to customers along with an additional layer of supply chain security. With enhanced scale and favorable long-term industry dynamics, we are well positioned to accelerate growth, benefiting from deeper access to the high-growth biopharma, industrial, and applied research sectors,” he added. “Together we have increased reach and direct channel access, customized logistics and product requirements, and a strong local presence in both developed and emerging markets. Just as important, the combined company will create new opportunities for our stakeholders, including our employees, customers and the industries in which we operate.” Avantor will be the corporate name of the new company, and the VWR name will remain in place as one of the company’s selling channels, ensuring a seamless transition for customers and offering the ability to continue ordering from vwr.com. VWR’s local sales representatives, Ricky Candelario and Greg While, will continue to service your business needs. The Albuquerque-based firm, which went public in Australia earlier this year, is focused on serving the needs of cancer medicine practitioners with its new and more specific MagSense imaging technology. MagSense works by detecting molecularly targetable suspect tissues without the need for biopsy, and without the risk of “false positives” that cause so much patient anxiety and healthcare expense, according to CEO Robert Proulx. MagSense technology holds the promise to improve human health and save lives by enabling clinicians to tell the difference between benign and malignant tumors accurately, and to detect very small malignancies in their earliest, most treatable stages. “Our current business objectives are focused on achieving an early feasibility first-in-human study in 2018,” Proulx added. These steps “de-risk” the technology and should open opportunities to establish commercial partnerships, just at the time that major players such as GE and Siemens are looking to support their healthcare market growth by investing in powerful new medical imaging technologies. Pebble Labs is a Los Alamos-based biotechnology company focused on disease control and food security. With a growing population and an increasing emergence of infectious diseases, there is a need for novel solutions. Pebble Labs’ innovative patent-pending solutions are at the forefront of eliminating viruses in animals and plants, including those delivered by insects. Led by Chief Scientific Officer, Dr. Richard Sayre, a Senior Research Scientist at the Los Alamos National Laboratory and New Mexico Consortium, Pebble Labs has three main subsidiary companies. Little Fly Labs utilizes a proprietary mosquito treatment to block the expression and replication of vector-borne viruses, such as Zika, Dengue, Yellow Fever and West Nile Virus. Iron Leaf Biosciences focuses on plant protection by using endophytic bacteria to silence fungal and viral pathogen genes as well as insect pests. Imugenics provides solutions to the animal health industry, initially on the control of diseases that affect shrimps and high-value farmed fish but eventually extending in to poultry. Santa Fe BMW is one of the BMW’s premier dealerships in the country. Every year, BMW of North America, LLC announces a select few dealerships to be named “Centers of Excellence.” This coveted award focuses on customer satisfaction, outstanding brand representation, and operational excellence. Santa Fe BMW located in Santa fe, New Mexico was one of the 24 dealerships nationally to receive the award in “2010, 2011, 2012, 2014, & 2015.” Santa Fe BMW’s ability to demonstrate that BMW performance goes beyond the road has helped build its reputation as one of the top-performing dealerships in the country. NMBio members will receive discounts, depending on the model they select, ranging between $500 and $3,500 over prices being offered to the general public. Http://www.santafebmw.com/ In addition, NMBio members will qualify for additional discounts if they participate in BMW North America’s Group Fleet program. SmartBrief is the leading online publisher of targeted business news and information for the lifescience sector. By combining technology and editorial expertise, SmartBrief filters thousands of sources daily to deliver the most relevant industry news in partnership with more than 180 trade associations, including BIO, professional societies nonprofits and corporate entities. Click — bio@smartbrief.com for a free subscription to its industry newsletters and daily snapshots of the biotechnology industry. ShareVault, a leading provider of highly secure and controlled document sharing solutions and virtual data rooms (VDR), has partnered with BIO to provide member companies of NMBio with significantly discounted pricing and value-added features. ShareVault’s VDR platform is optimized for life science companies of all sizes and flexibly priced so that even small biotech companies can afford and benefit from its technology. The ShareVault solution is intended for due diligence and other applications that require secure sharing of documents with third parties. Learn more and sign up for a free trial.